One of Germany’s most modern and outstanding campgrounds is now open – the exclusive Zugspitze Camping Resort offers pure luxury in the great outdoors. The Zugspitze Camping Resort recently opened its doors in Grainau near Garmisch-Partenkirchen and is light years from the camping cliché of folding chairs and outhouses. This exclusive location offers pure luxury in a fascinating alpine setting with its state-of-the-art complex and elegant wellness hotel design. Our exclusive facility now offers a new year-round camping experience for its clientele of increasingly sophisticated camping holidaymakers. It is called “glamour camping” in the camping industry. Camping spaces and communal showers alone fall far short of what is required to maintain a position among the thousands of camping sites in Germany today. There is a steady trend toward fully-loaded higher-class vehicles that often cost upwards of six figures. Campsites must also therefore indulge their guests with the finesse and sophistication of a high-class hotel. Welcome to Zugspitze Camping Resort in Grainau… this recently opened exclusive camping facility welcomes its guests in an ambience of sophistication and innovation. Out of the car and into the bath…a luxury brought to you by the new Zugspitze Camping Resort in Grainau near Garmisch-Partenkirchen. Nestled in a fascinating alpine setting, the resort features 125 panorama campsites ranging up to 130 m2 in area in one of Germany’s most attractive and well-known tourism regions. Numerous bathhouses are strategically dispersed throughout the premises enabling guests to book a heated private bath directly where their vehicles are parked. The bathhouses feature an individual toilet, shower, and washing facility. Guests may also reserve a campsite with its own natural gas line and take advantage of cost-free Wi-Fi and state-of-the-art disposal units with electrical and water outlets. There are 20 additional campsites situated separately on a hill that offer a great deal of privacy. Alternatively, guests may choose to stay in one of the resort’s rustic holiday cottages featuring a kitchen, living and sleeping areas, and a wellness terrace for relaxation in the cradle of the Upper Bavaria’s picturesque landscape. The infrastructure around the campsites is anything but what one might expect at a campground. 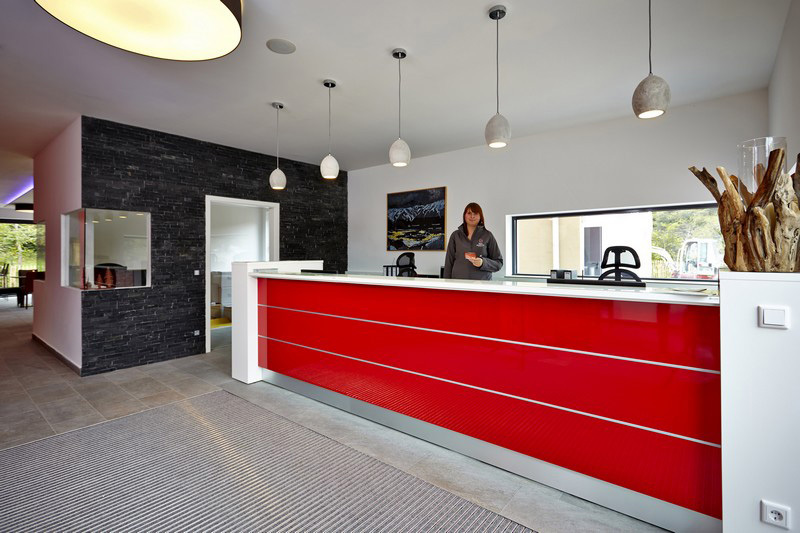 It is Modern and elegant with a contemporary design, and guests are welcomed in a chic reception area with a lounge and flat screen television. Guests can go on to enjoy the campground’s trendy bistro with a sun deck as well as its spa featuring traditional saunas, infrared saunas, tonifying showers, relaxation areas and sun deck. The sanitary facilities also meet the highest standards and feature individual showers, a utility room, a wash center, and a bathroom for babies and disabled persons. There is a ski drying room for winter sports enthusiasts, and the campground offers an eBike center during the summer. For the younger guests there is a colorful children’s playground. The rustic Schmölzer Wirt restaurant offers culinary delights at the foot of the new campground. The restaurant and its menu embody a refined combination of regional charm and trendy design. A modern keycard system makes it easy to use any of the facilities, and shopping venues, a petrol station, and a repair shop are nearby. Guests may also take advantage of the campground’s hourly direct bus connection to the Zugspitze train valley station, which is included in the GrainauCard along with many other extras and discounts. The Zugspitze Camping Resort is ideally situated for an eventful mountain holiday or a stopover on the way to the South. World-renowned attractions such as Garmisch-Partenkirchen, Eibsee, the Höllental and Partnach Gorges, and magnificent castles are nearby the new resort. Outdoor enthusiasts can hike, walk, boat, bike, golf, surf, and paraglide to their heart’s content. In winter, there is plenty of snow for downhill and cross-country skiing and there are also options for ice-skating, ice-climbing, winter walking and much more. As a venue for many world championships, the region’s sports infrastructure is state-of-the-art. For further information and reservations, contact: Camping Resort Zugspitze GmbH, Griesener Straße 15, 82491 Grainau, Tel. +49 (0)8821-9439111, Fax +49 (0)8821-9439116, www.perfect-camping.de. 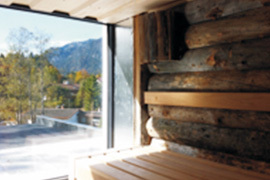 The recently-opened Zugspitze Camping Resort spa offers pure relaxation in Grainau near Garmisch-Partenkirchen. 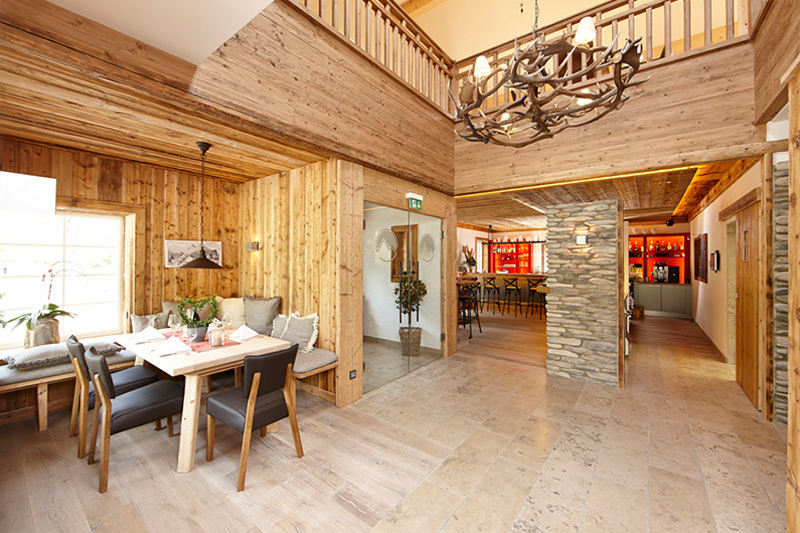 The Schmölzer Wirt restaurant near the Zugspitze Camping Resort in Grainau offers a comfortable and stylish respite after a day in the snow.